I would say I am definitely a morning person. I say this because I find it extremely easy to get out of bed, when I know there is breakfast to be had. 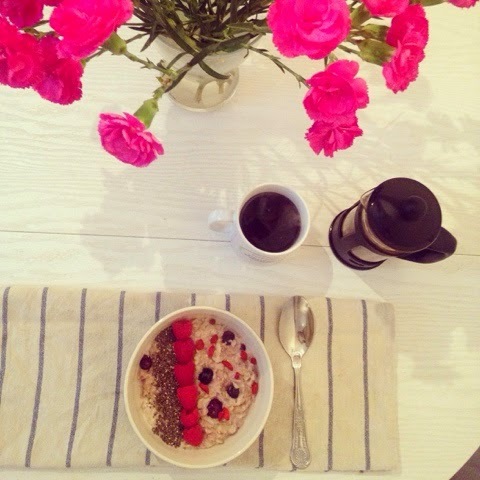 This breakfast is a berry good one and is SO easy to make. Alrighty, so heat your coconut milk and oats and throw a handful of blueberries in, let these simmer for about 5 minutes until the blueberries start to burst open. Give it a stir every now and then. 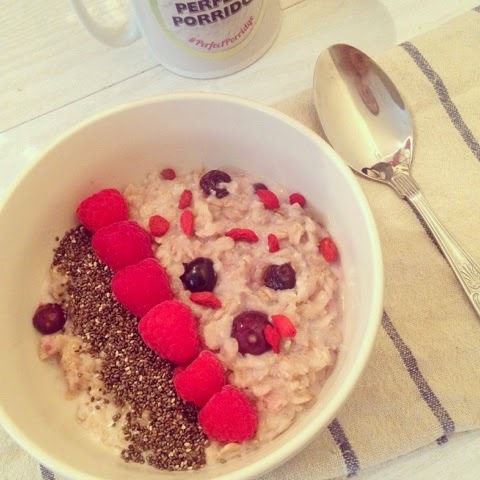 Once your oats are nice and creamy, pour them into your bowl and sprinkle the goji berries over the top. THEN you are ready to make it messy again. 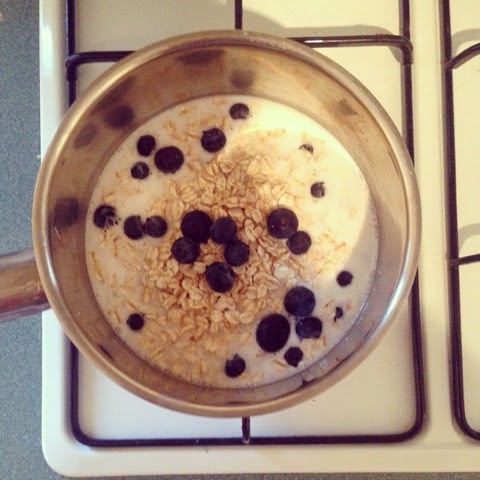 The blueberries give it a really sweet taste which is very complimentary to the creaminess of the coconut milk. Trust me, it is delicious and you will be smiling all the way until lunch time.